We learned a few things while playing the newly launched open beta for The Sims Social. Here are some of our best tips for keeping your Sim healthy, wealthy, and wise. 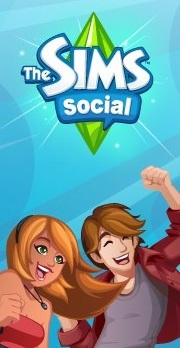 Check out The Sims Social’s Facebook page. You can get 9 free items which will increase your house value and give you items that you are going to have to buy anyways. Keep your Sim at the “Inspired’ level. You will earn more Simoleons when you are Inspired and other interactions may be more successful. Be sure to play every hour, that’s how long it takes to refill your energy to full. Try to use the bathroom, shower, or play on computer for fun at a friend’s house. That way you won’t break your own devices and have to spend energy to fix them. Use your energy on important tasks first like writing, music, cooking, and painting. You earn the most simoleons from doing this activity. Visit your friends everyday. You get 5 bonus energy to use with each neighbor each day. This will improve relationships and earn you bonus energy to use for yourself. Complete the quests that appear on the left side of the screen. Bonuses are given for completing these quests that you don’t normally get through other means. Build up the value of your house. The higher the value of the house, the more things are unlocked so get out there and spend some Simoleons on extra rooms, expensive furniture and decorations. Friends are necessary to progress in this game, the more the better – so get out there and get some Facebook friends! You can find friends at “Add Me” lists for The Sims Social, or get your real friends or family to join up. Ask your friends for help with items that you need. There are many items that are needed that can only be had by asking for them from a friend. To be sure to get what you need always give out things that your friends request. Sometimes you can also get a bonus for helping a friend . Have a tip of your own? Add it in the comments!